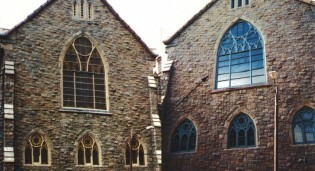 All stained glass windows were removed and totally re-leaded. 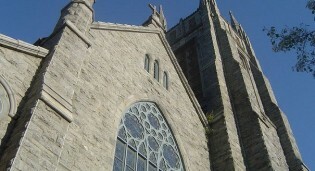 All lexan was removed and 1/4″ float glass installed. 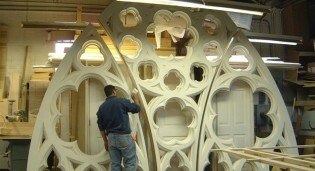 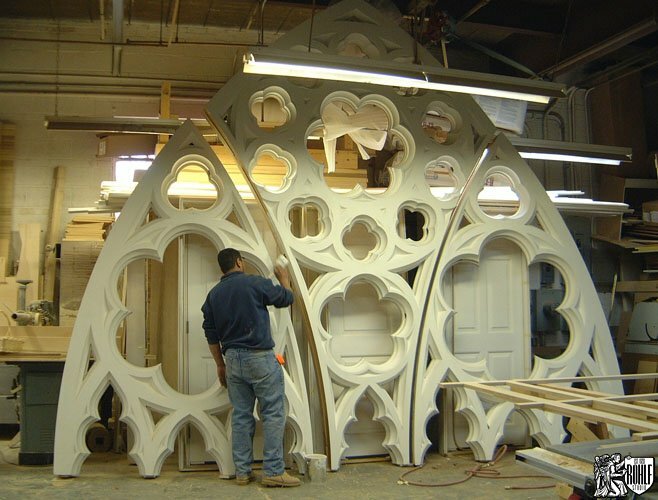 New wood 7″ mahogany frames were replicated for the two large transept windows and front balcony window. 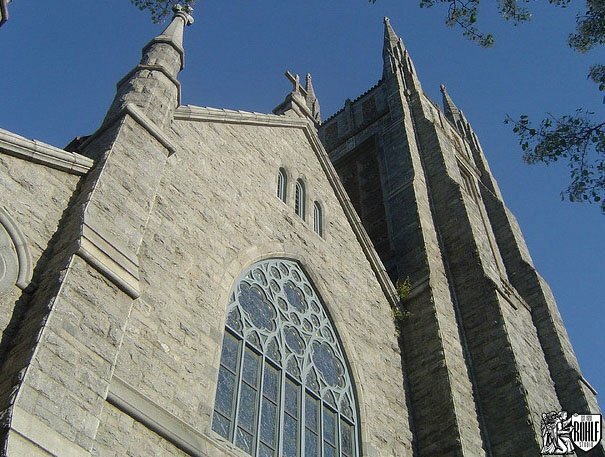 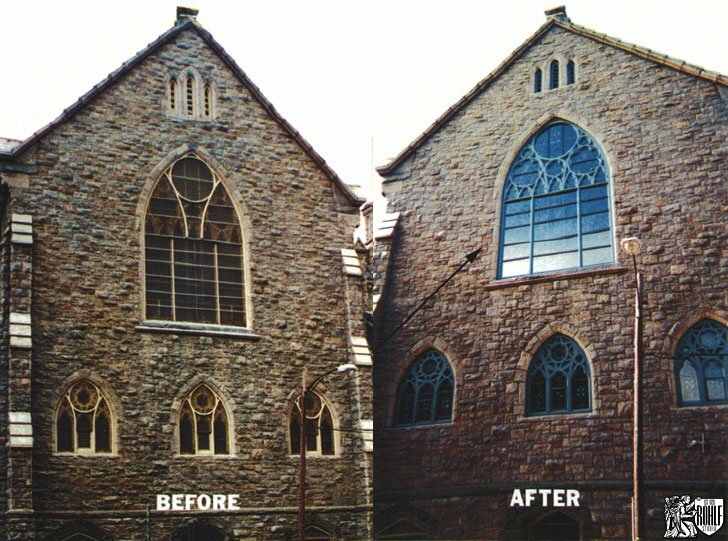 Wood restoration was performed on all remaining windows along with priming and painting at the Basilica of St. John in Stamford, CT.
Before and after view of replication of new mahogany window frames by Rohlf's Studio at Basilica of St. John in Stamford, CT. 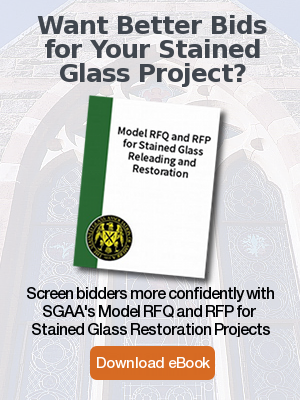 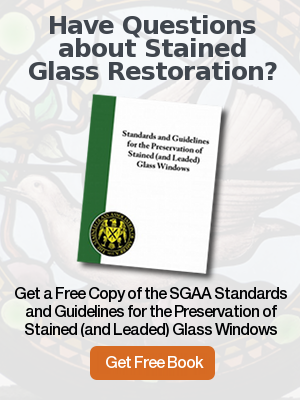 Restoration of all stained glass, new protective glazing and replication of the two transept and one balcony window by Rohlf's Studio at Basilica of St. John in Stamford, CT.
In-shop wood window frame replication for the Basilica of St. John in Stamford, CT.